Pigment-Based Textile Printing. Making Waves in Traditional Circles. While dye-sublimation (dye-sub) has historically been the go-to technology in digitally printed textiles, pigment-based printers are positioned to revolutionize the industry. In manufacturing settings for garments and décor, the opportunities are endless. The process of printing with pigment-based inks consists of very few steps—especially in the post-processing stage, making it both efficient and cost effective. Additional benefits include flexibility to print on any fabric material and a sustainable method that involves minimal waste. Above: The Durst Alpha prints up to 677 yards per hour with eight color channels. Digital printers used in mass production of textiles are growing in popularity. Many industry insiders agree that this is mainly because the technology as a whole offers high quality at an economical price for more customized runs compared to analog methods. “For many companies, printing on cotton or other natural fibers traditionally required a lot of equipment and processing time. Inkjet reduces the initial cost to print on fabrics compared to analog technologies in addition to greatly reducing the lead time needed for production,” explains Mike Syverson, textile manager, North America, Durst Image Technology US LLC. While digital printing’s sweet spot is prototypes, small runs, and runs of one, the technology is advancing to be used in longer run scenarios. According to ResearchandMarket.com’s Digital Textile Printing Market by Printing Process (Roll to Roll, DTG), Ink Type (Sublimation, Pigment, Reactive, Acid), Application (Textile & Decor, Industrial, Soft Signage, Direct to Garment), and Geography – Global Forecast to 2023, the digital textile printing market is expected to be worth USD 2.31 billion by 2023 from USD 1.76 billion in 2018, at a compound annual growth rate of 5.59 percent between 2018 and 2023. The study cites the growing demand for sustainable printing, increasing demand for digital textile printing in the garment and advertising industries, shortening lifespan and faster adaptability of fashion designs, development of new technologies in the textile industry, reduced per unit cost of printing with digital printers, and growth of the eCommerce industry as the major factors driving the market. There are many digital printing options when it comes to textiles, including dye-sub, reactive, acid, and pigment. Pigment-based digital printing is growing thanks to the simplicity in the overall production process. “In the fashion and home décor industries, pigment-based ink is increasingly popular because of the minimal post process that has to be done. Pigments only need heat to set the inks to the fabrics,” shares David Lopez, textile solutions specialist, Mimaki USA, Inc.
“Although designed for much longer print runs, pigment printing of textiles can be easier than printing with dye-sub or reactive dyes. The fabric usually runs through an inline dryer to fixate the ink to the fabric versus finishing the fabric through a transfer calendar like in dye-sub or steaming/washing when using reactive dye,” agrees Syverson. Randy Anderson, product market manager textile, Mutoh America, Inc., points out that pigment has been around for a long time. Compared to dye, pigment alters the hand of the fabric but since there are such few options for printing to cotton and organic textiles it is more preferable because pigments only need to be heat set. Features of pigment-based systems that are beneficial to garment and décor manufacturers include substrate versatility, durability, eco-friendliness, and efficiency. Regarding substrate versatility, pigment inks allow for printing on cotton, polyester, and silk—nearly any fiber type. “Dye-sub is limited because it only applies to polyester. Pigment is versatile, as it can be applied to most fabrics. Using dye-sub, you would need additional machines for different fabrics. 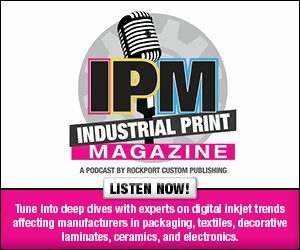 Pigment offers broad capabilities with a smaller production footprint,” explains Celine Tezartes Strauss, product manager, inks and consumables, Kornit Digital. Durability is an important consideration for fabrics used in apparel that are washed multiple times or furniture upholstery that will have high usage. “Today’s pigmented ink solutions for textile are very durable, meeting or exceeding the color, rub, or wash fastness requirements for most printed fabric producers,” says Syverson. Roland Zimmer, VP sales North America, Zimmer Austria Inc., explains that pigment printing offers brilliant colors and good lightfastness for outdoor fabrics, home textiles, narrow fabrics, and technical textiles. Pigment ink is water based, making it inherently environmentally friendly. In addition, since the process only requires heat to fix the ink, “it is a more sustainable option for customers who want to avoid wasting water or paper,” shares Lopez. “Having a ‘greener’ solution is a key factor in the future of the textile industry. Pigment printing allows for direct to fabric production without steaming or washing. The technology creates a significant sustainability advantage and that is especially important in a textile space that has long had issues with pollution,” agrees Cristina Artemisi, ink business development representative, EFI Reggiani. Efficiency can mean many things. For example, Durst’s pigment-based systems utilize very low ink loads, which increases the overall yield and efficiency of the inks. “Another aspect of efficiency is the printer’s ability to print on demand with little user interaction. This also increases efficiency as higher uptime results in lower overall costs,” adds Syverson. Less steps in the pigment printing process provide efficiency. Dye-sub requires printing to paper and then transferring. Fabrics printed with reactive and acid dyes have to be seamed and washed after printing. “Textile pigment printing is known for being efficient because of the minimal amount of steps to complete the process,” says Lopez. Juan Kim, CEO, VALLOY Inc., cautions that there are limitations on the longevity of graphics printed with pigment-based inks, especially in regards to color saturation, wash fastness, breathability, and hand. He suggests checking the performance of the pigment ink on the target fabric first before committing to a long run. To enhance performance, pretreatments are available, although the added step can negate the benefit of working with a process with minimal steps to begin with. Lopez recommends pretreating fabrics for better colors and longer fastness. Pricing of pigment-based systems is a bit higher than other digital technologies. When thinking about the entire investment, from the printer, ink, and material standpoint, Lopez admits dye-sub is less expensive. His reasoning for this is that textile pigment is usually used with cotton, which can be more expensive than the polyesters used for dye-sub. “On average, textile pigment ink is about $1.15 a square meter, whereas dye-sub is about $0.22 square meter,” he cites. Anderson explains there are three types of pigment printers. High-speed single-pass printers, which compete with rotary screenprinters; sticky belt printers designed to handle four-way stretch fabrics; and two-way stretch printers designed for non-stretch fabrics, but can handle stretch in the print direction. “The buyer should understand the throughput they need and the fabrics they will run,” he advises. Here are some of the newest pigment printers available. EFI announced the EFI Reggiani TERRA in October 2018. The pigment ink system utilizes a new inline polymerization process that occurs while the printed textile runs through the printer’s on board, high-efficiency dryer. This involves less water, energy, and processing time. It is designed to print on cotton, polyester, and cotton-poly blends. Pigment inks are available in CMYK, blue, and red. The Durst Alpha 190/330 textile printer is a system designed for 24/7 operation. Configured to handle different ink technologies, the printer’s most common setup is pigment inks. With eight color channels the Alpha prints up to 677 yards per hour. Kornit systems are one-step solutions, making them efficient and aligning them with eCommerce for rapid production and shipping. According to the company there is virtually no water waste. Mimaki’s TX300P-1800 direct to garment printer is equipped with high gap setting printheads. This enables printing on thick or thin textiles, plus woven patterns or raised fiber surfaces, all while maintaining accurate ink droplet placement. Mutoh offers the 75-inch ValueJet 1938TX with pigment inks. It prints directly to a number of fabrics including closed, open non-stretch, face in, and face out roll media. The printer prints at speeds of up to 914 square feet per hour. VALLOY offers the TOPAZET TEX 1800BT, which is a 1,800 millimeter wide vacuum belt feeding printer. A rubber belt option is available to achieve higher adhesion. The printer is able to jet droplets onto fabric with higher voltage levels making it possible to print directly onto more rugged materials like terry cloth. Zimmer’s COLARIS.12-2200 small production pigment inkjet digital printer is designed for textiles, carpets, mats, and piece goods. It can be configured as a four- or six-color printer. To avoid any manual maintenance on the printer, it is equipped with the CLEANOMAT. This mechanical cleaning system automatically cleans the printheads and base plate with washing, vacuuming, and wiping functions. Pigment-based ink consists of a very fine powder of solid colorant particles suspended in a liquid carrier. In theory, pigment is actually a solid and not a liquid. This means ink needs to be constantly recirculated when not in use to reduce the risk of sedimentation of solid particles, which leads to clogged nozzles. If it isn’t, production could be halted and money and time wasted on cleaning the printheads, not to mention reprinting graphics. To combat this, vendors like Durst have designed their printers accordingly. The Durst Alpha 190/330 textile printer offers full ink recirculation from the primary ink tank to the nozzle plate. The printheads in VALLOY’s TOPAZET TEX 1800BT support ink circulation internally to prevent nozzles from clogging, according to Kim. Zimmer uses Fujiiflm Dimatix printheads in its COLARIS printers because it offers a 100 percent ink circulation system including the ink tanks, ink supply lines, the printhead, and the micro channels passing by the piezoelectric actuator. Pigment-based digital textile printing is a small portion of current digital textile printing work. But, as more garment and décor manufacturers and textile producers become educated in the benefits of its minimal step process, eco-friendliness, and unlimited material compatibility interest will heighten. Vendors in this space continue to work on pigment ink’s performance characteristics in regards to color, wash, and lightfastness. Currently, pretreatments are available to solve this problem, but add an extra step to the overall process.